I was honored when I received a phone call informing me that Braden was interested in having me write a song to go along with his book. Little did I know what an amazing journey accepting that request would be for me. In order to capture the feeling (and the lyric) for the song, Braden sent me a copy of the manuscript. At first, I skipped right to the end, and read through nothing but the song lyrics. Thankfully, in a fit of inspiration, I stepped away from the piano, put down my pencil and just started to read. I read through the entire book in less than 2 days. I wasn't sure what I was expecting, since this was Braden's first novel, and I don't read a lot of LDS literature...because a lot of it is cheesy. This book captured me from page one. The characters and content were honest, and raw, and deeply powerful. There was one character in the story that I related to on such a personal level at times I felt like I was reading about myself. Braden explores things in this book that I think need to be brought to light. We are all struggling with something. We are all different. And we can all be healed with the healing power of the Savior. I loved the characters, I loved the message. 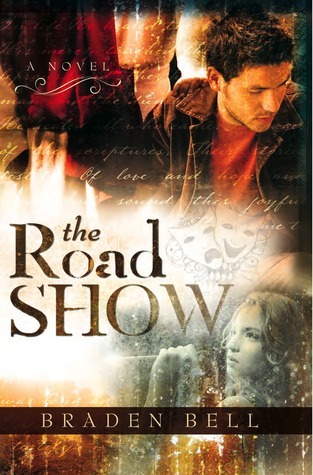 Sign into Goodreads to see if any of your friends have read The Road Show.